Adulticide supplies are available for heartworm-positive dogs. Reports about supplies of melarsomine have been in the news recently, which may be raising questions about whether supplies of the product are adequate. The news reports were triggered by a bulletin from the U.S. Food and Drug Administration (FDA) that announced their decision to approve a supply of product from Europe for use in the U.S. This was done to help ensure product availability until a supply of U.S.-made product is available. 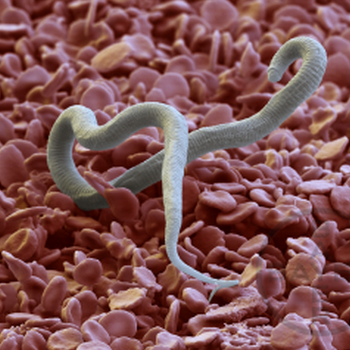 According to sources at Merial, melarsomine, the only approved product for treatment of heartworm infection, continues to be available to veterinarians with heartworm-positive dogs. As has been the case for the past two years, the product is only available through a restricted distribution program and not through distributors. Veterinarians must contact Merial directly to obtain the medication. Treatment of heartworm-positive dogs is vitally important, both for the health of the dog and to help reduce the risk of infection in other pets. 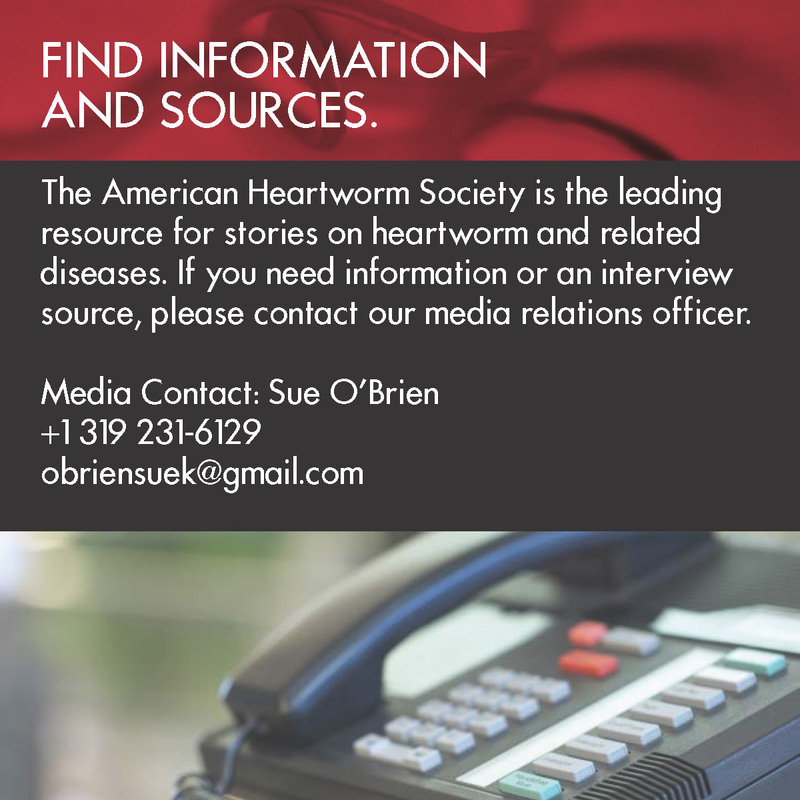 The American Heartworm Society (AHS) has guidelines for heartworm treatment, which include administration of adulticide and other medications. These guidelines are designed to achieve maximum efficacy in killing all stages of worms while mitigating the adverse effects of dying worms in treated dogs. 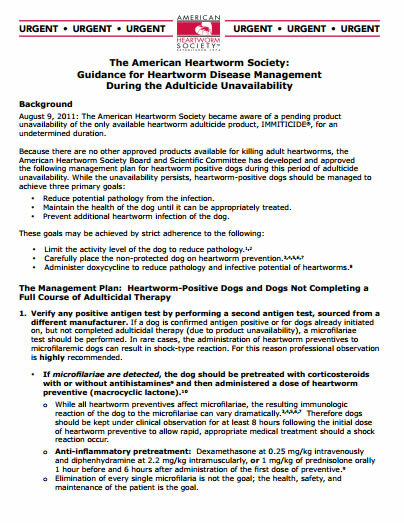 Comprehensive information on these guidelines is available at heartwormsociety.org, where you can also watch a video interview with Dr. Clarke Atkins as he explains the protocol steps.